There were a lot of developments today on the Chicago Public Schools crisis, but none of them were good. The latest is a possible teachers strike that could happen much sooner than anticipated. This comes after the CTU bargaining committee unanimously rejected the CPS contract offer that last week union president Karen Lewis characterized as a "serious" proposal. Today she called CPS leadership "liars." 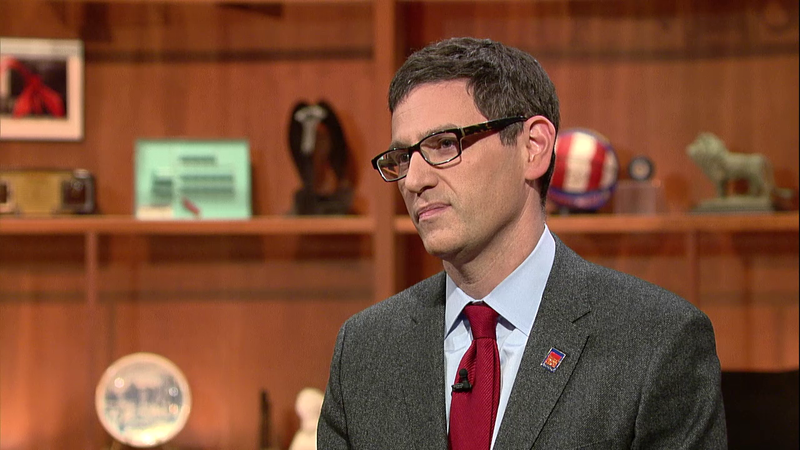 Joining us to talk about it all is Jesse Sharkey, vice president of the Chicago Teachers Union. On the bargaining unit's rejection of what was initially described as a "serious offer"
"It was never a tentative agreement," Sharkey said. "We deliberated for more than 40 hours. There are a number of things that are in this offer that people took very seriously and as a sign of progress. But in the end, we just can't trust the district to live up to a series of promises that they made." "We had a brief meeting this morning. Kind of a gut-check," Sharkey said. "Today was a pretty tense day, but we wanted to reaffirm the commitment. We have a serious bargaining relationship with the board, and we've been through hard times before–there was a strike in 2012–and we've never stopped meeting. So we're going to keep doing that. We're going to keep working and try to avoid a shutdown of the district, a strike. We're going to try to get an agreement." On whether he'd characterize proposed cuts announced today by CPS as a speed bump or, in the words of CTU President Karen Lewis, an "act of war"
"It's difficult to tell, to answer your question," Sharkey said. "Trust is one of these things that's a little bit nebulous. CTU members feel like the cuts that were in this offer were very real, very concrete, contractually enforceable. But then there's promises which we didn't feel were very real. For example, we have a charter school cap on board-opened charters. But what about the fact that the state can open an unlimited number of charters? I think if we can find some way of doing some political trust, and have the district follow through on, say, commitments to increase revenue, that would be a step in the right direction." "I think this is part of Rauner's Turnaround agenda; I think he's bringing it up for political reasons that are sufficient to him. But when he says, 'Let me in there, I'll solve the teachers union contract' ... That's a joke. He hasn't solved the AFSCME contract, which is one where he has some direct authority and involvement. I don't think Rauner has any business coming in and trying to run public schools in Chicago. I think we should have Democratic school governance in the city. Rauner's threats are a distraction. He should pass a budget. That would help." Jan. 28: The union announced a possible breakthrough after the day's bargaining session wrapped up, saying it had received a "serious offer" from the district. Jan. 28: Mayor Rahm Emanuel joins us to talk about the gridlock in Springfield, the financial crisis at Chicago Public Schools and police accountability. Watch the full discussion now. Jan. 22: Chicago Public Schools gave layoff notices to some administrative employees as part of efforts to reduce its $480 million budget shortfall. "There’s no doubt that these cuts are painful," CPS CEO Forrest Claypool said in a statement. Jan. 20: Gov. Bruce Rauner and Republican leaders officially announced on Wednesday their ambitious agenda to allow for an emergency financial authority appointed by the Illinois State Board of Education superintendent to take over Chicago Public Schools in the wake of a $500 million funding shortfall. Dec. 15, 2015: A day after teachers voted overwhelming to go on strike, Chicago Public Schools is offering teachers a new contract that it says will prevent thousands of teacher layoffs. Jesse Sharkey joins us for a discussion.